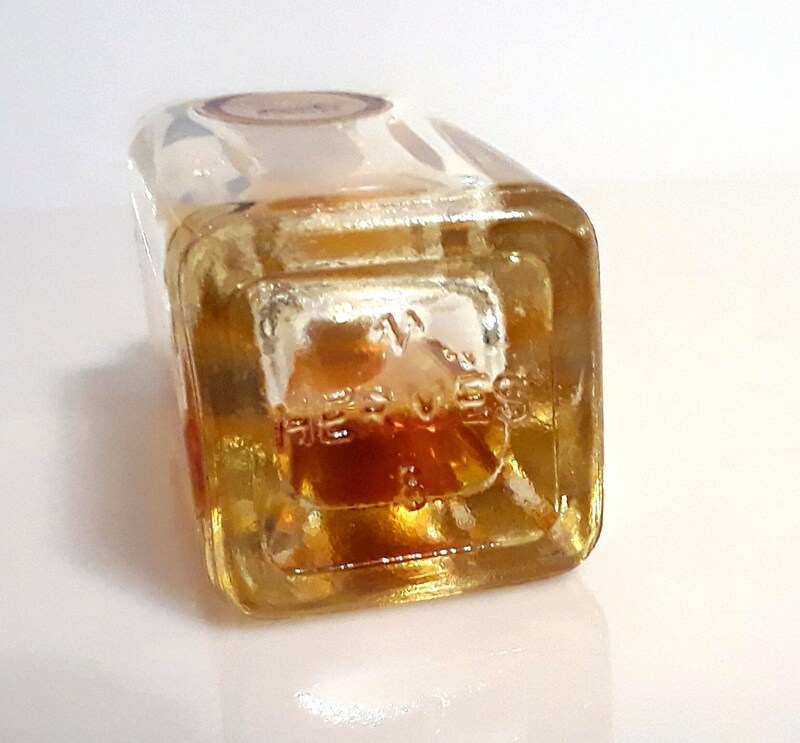 Vintage Perfume 1960s Caleche by Hermes 1 oz (30ml) Pure Parfum Extrait Splash Original Formula . 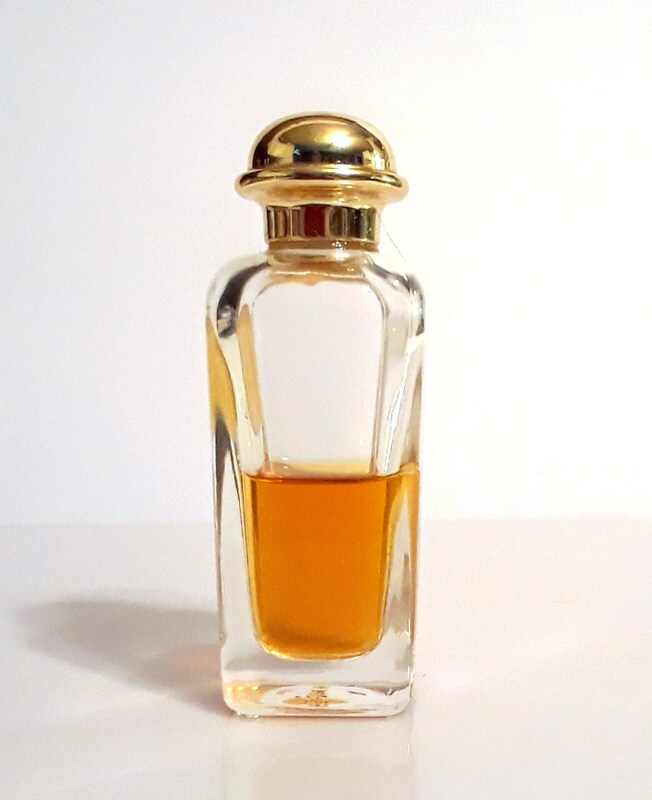 This is a cute bottle with a small paper label and gold tone metal screw cap. Bottle stands about 3.5" tall. The bottle is about 45% full of perfume, so there is almost half an ounce left inside - see photo for actual fill line. 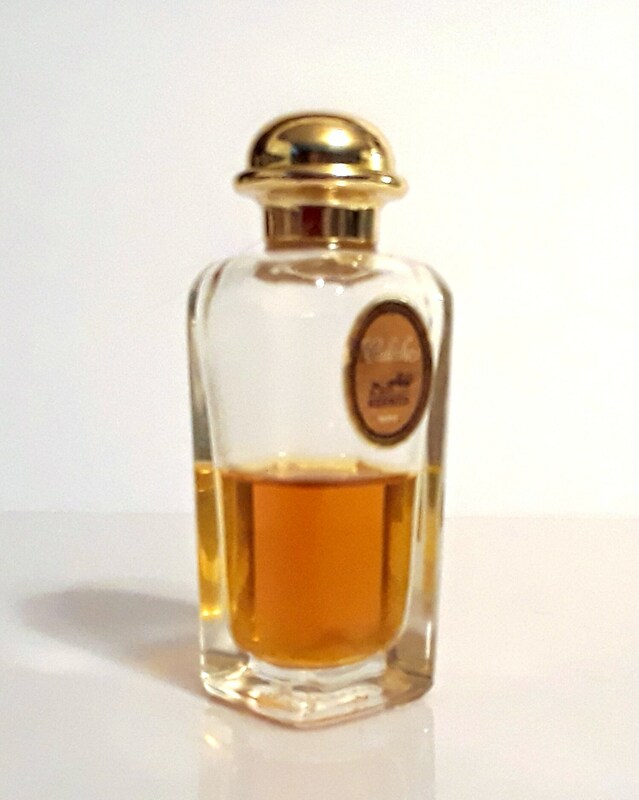 Although the perfume is old and not as fresh as it once was, I just tested it as it still smells good and is wearable, but very strong, top notes seem to have faded. This is the original version and not the reformulation from 1992. 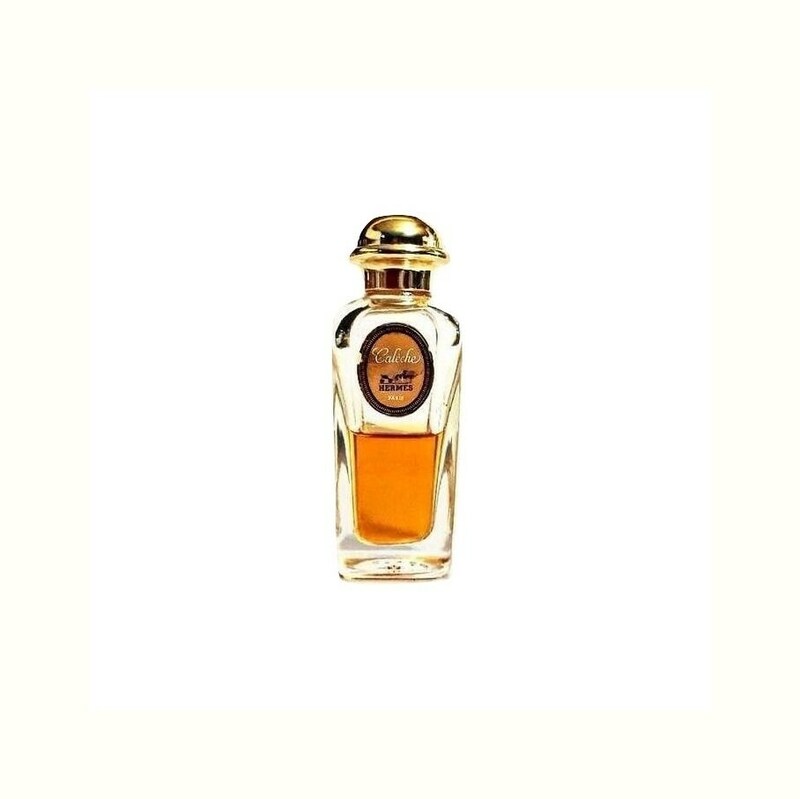 Caleche was launched by Hermes in France in 1961, it was officially launched in the USA in 1963 and imported by Alexandra de Markoff. Created by Guy Robert, it is described as a fragrance of vibrant light and magic. A classic blend of floral and woodsy scents. Caleche (pronounced KAL-ESCH'), was named after the House’s emblematic carriage team logo. A caleche is the folding hood of a horse-drawn carriage. 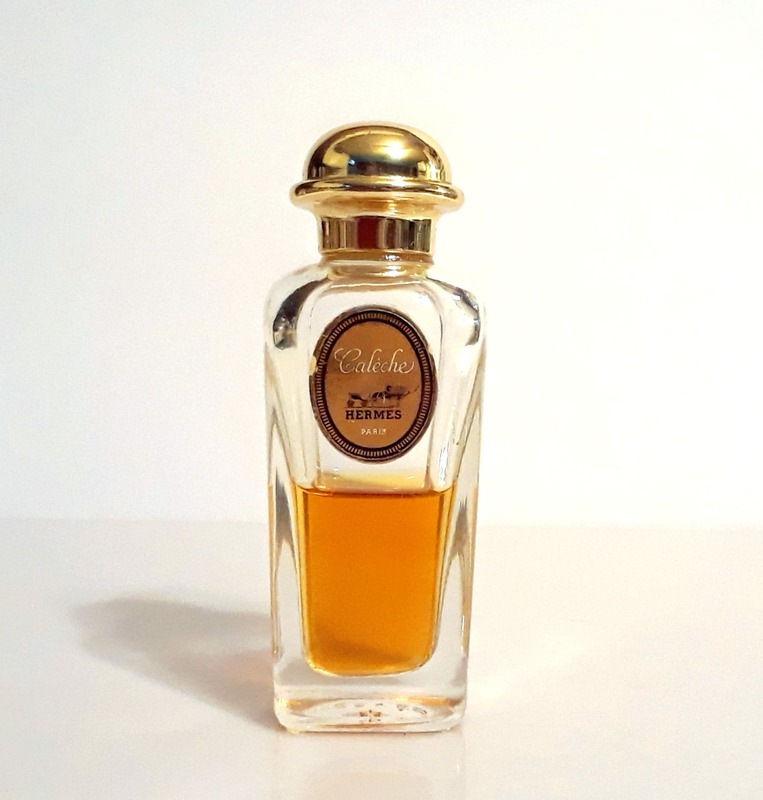 Caleche was reported to be the favorite fragrance of Princess Margaret of England. It is classified as an aldehydic floral fragrance for women. It begins with s fresh, resinous, aldehydic top, followed by an elegant, precious floral heart, resting on a powdery, woody, balsamic base. Opening with a burst of bright and acidic citrus note of neroli, bergamot, lemon and bold soapy aldehydes, resting on a floral heart studded with gardenia, lilac, ylang-ylang, spices, lily of the valley, Bulgarian rose and jasmine, and finally drying down to its dry woody chypre afternote, emphasized by powdery iris and vanilla, musk and a deeply hidden is a leathery civet note.